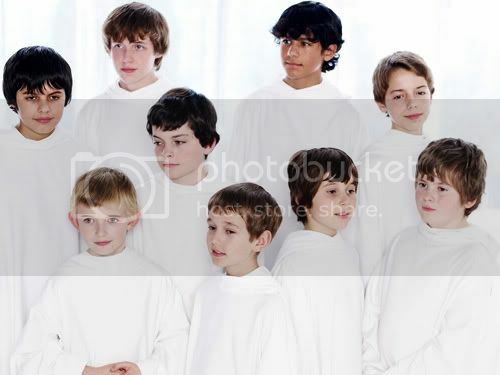 There's another picture I found in the AV Yahoo group where you can also identify the boys, especially the newbies. It looks the same from their part 3 of their Canada tour review. But try clicking on the picture and see ;). Merci, Fan_de_Lok, for uploading the picture and putting the numbers for each member. 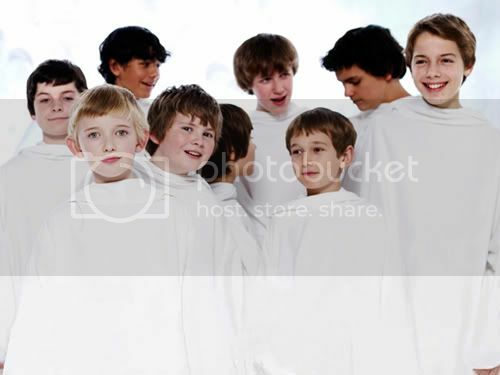 Very nice photo the wonderful Libera! 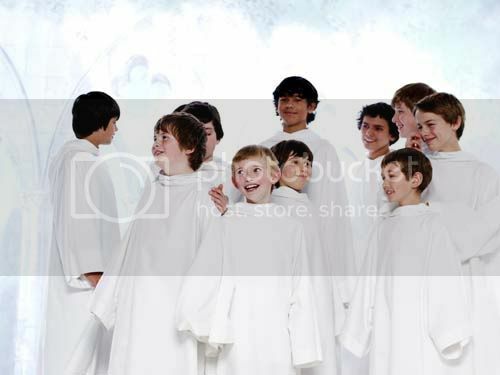 How I wish I can WATCH YOU singing ,,, hope you we will see each other in the near future,,..
Is Josh Madine is still part of Libera? Yes. He didn't join them on their tour due to exams. What a lovely photo! Thanks! Hi Zoe. no problem for the photo :). thank Fan de Lok for the resize. Hi guys! I'm your avid fan. All of you have an angelic voice.